This content was published: August 28, 2017. Phone numbers, email addresses, and other information may have changed. Portland is growing fast — and in order to meet the changing needs of its workforce, the city’s largest college is in need of upgrades. In some cases, it’s a matter of modernizing equipment and technology. In others, facility overhaul has been determined as the most efficient and economical method of delivering long term, high quality instruction to support student success and best serve the community at large. To accomplish this, PCC’s Board of Directors has voted in favor of placing a bond measure on the Nov. 7 ballot for consideration by voters within the college’s 1,500-square-mile district. If passed, the bond would improve workforce training programs to align with current and future industry needs, and better the chance students can secure higher paying positions. “The college has a two-pronged responsibility: to its students and to Portland metro area voters who have so generously supported PCC in the past,” said Kali Thorne Ladd, chair of PCC’s Board of Directors. “Approval of the bond measure by voters would enable PCC’s ongoing protection of the community’s investment in PCC and the college’s current assets. Furthermore, the college would be positioned to advance delivery of top quality instruction so that diverse students receive the training and preparation needed to jumpstart their careers or further their education,” she said. If passed, the PCC bond measure is estimated to maintain the tax rate of 40 cents per $1,000 of assessed property value, for 16 years, with the total principal amount of the bonds authorized not to exceed $185 million. For a home assessed at $200,000, the annual cost of the bond to a homeowner is estimated to be $80 per year, or $6.66 per month. Improve workforce training programs to align with current and future industry needs, and better the chance students can secure higher paying positions — necessary in a metro area whose cost of living continues to climb. continued growth in the fields. Upgrade safety, security, facility longevity, and disability access across the college. Another reason that underscores PCC’s responsibility to deliver on these goals: The college is Oregon’s largest postsecondary institution, serving approximately 78,000 full-time and part-time students in Multnomah, Washington, Yamhill, Clackamas and Columbia counties. It is an educational leader with significant responsibilities throughout the region: PCC collaborates in myriad ways with the state’s other community colleges, public and private universities, K-12 school districts, as well as workforce, business and industry, and non-profits, among other community partners. PCC has a responsibility to deliver equitable student success, educate the future workforce, and contribute to Oregon’s economic vigor and long term prosperity. “Oregon relies on PCC,” said Thorne Ladd. Unlike the 2008 voter-approved bond measure, which earmarked $374 million toward building renovation throughout the district and the addition of needed facilities — like a comprehensive campus in southeast Portland and the Swan Island Trades Center — the 2017 bond measure is geared more toward protecting and maintaining the life expectancy of its existing physical structures, in addition to upgrading technology needed to achieve this. In the case of a few buildings that weren’t touched as part of the 2008 bond measure, studies indicate the college would be best served by reconstruction to reduce costs for maintenance, ensure high quality instruction for students, and enhance on-site safety and security. If the 2017 bond measure is passed, facilities to be tackled would include the Portland Metropolitan Workforce Training Center, Sylvania Campus Health Technology Building, Cascade Campus Public Safety Building, and Rock Creek Campus Child Development Center. Similar to the 2008 bond measure, PCC intends to continue its successful community partnerships in this new bond. One example is the state’s $8 million in capital matching funds to be put toward Sylvania’s Health Technology Building remodel. 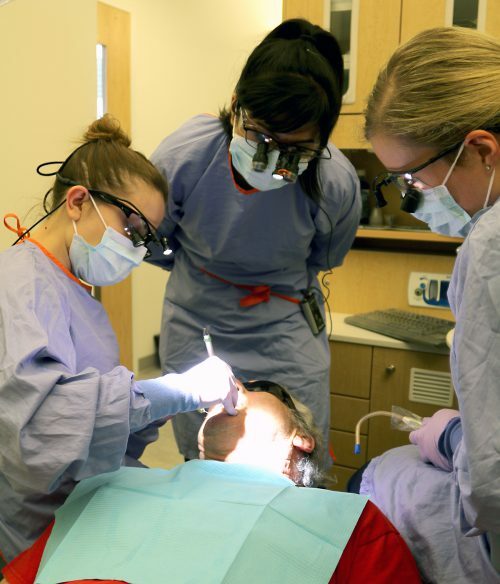 Another is the 2020 move of PCC’s Dental Program and community dental clinic from the Sylvania Campus to downtown Portland, to be housed in a new academic facility alongside the Oregon Health & Science University/Portland State University School of Public Health, PSU’s Graduate School of Education, and a City of Portland bureau. “Local investment in higher education, collaboration and partnership can open doors and create incredible opportunities, ones that benefit the community at large because we’re pooling our talent and resources for the greater good,” said PCC President Mark Mitsui. He added that through PCC’s prudent financial stewardship, the college was able to achieve $9.2 million in total savings to taxpayers through general obligation refunding bonds. PCC is conducting a long term, comprehensive study of its physical structures, space utilization, academic programs, and technology infrastructure. Feedback gathered has helped, in part, to inform and set the parameters of the 2017 bond measure focused on workforce training, health professions and STEAM, safety, security and facility lifespan longevity. “Our commitment to students and the greater community has been at the center of our discussions throughout this study,” said Linda Degman, director of PCC’s Bond Program. 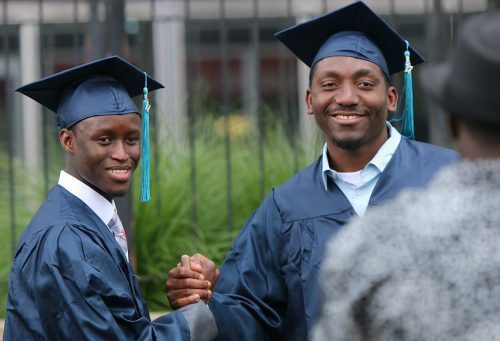 “The college both supports and belongs to the community. We have a responsibility to maintain PCC’s health and longevity so that we’re able to deliver equitable student success, educate our future workforce, and contribute to Oregon’s economic vigor and long term prosperity,” she said. What Would the Bond Do? improve workforce training programs to better align with current and future jobs. invest in training for Health and STEAM (Science, Technology, Engineering, Arts and Math) programs. upgrade safety, security, building longevity and disability access. If passed, it is estimated to the tax rate of 40 cents per $1,000 of assessed property value for the next 16 years. Learn more about it! This is awesome, but can anyone join in?